Marble has long been a primary finishing material in Florida residential and commercial construction. This natural stone product may cost a bit more than ceramic or hardwood, but the upfront investment is more than offset by the long-term savings. Marble stands up well to scuffing, does not require constant polishing, and beautifies an interior like no other material can. Cream and ivory shades of marble are favored by those who wish to allow for the greatest variety of interior decorating. Beige, cream, and ivory shades of marble work well when complemented by other medium and neutral tones. This means that the property owner has much flexibility when creating a custom look for the kitchen, living area, bedroom or bath. Nalboor Tiles is a website created to showcase the fine-quality, medium-shade marble tiles imported and sold by Stonexchange, a direct manufacturer and wholesaler of natural stone building materials. Sold mainly in bulk to installers, subcontractors and flooring product retailers, cream marble tiles from Stonexchange are now available for purchase by individual consumers. Because the importation and distribution of these products by Stonexchange is based on wholesale, bulk-quantity orders, prices for smaller amounts may be slightly higher. However, the cost goes down when the amount of tiles purchased goes up. Cream marble tiles were once part of a giant slab of natural stone, cut from a geologic formation using advanced cable saws or water jets. The slabs were thinned down at a fabrication center, cut into individual tile squares, and polished with a specialized sanding brush. The tiles were then packed onto a crate, shipped across the Atlantic, and sent to various resellers. These brokers and resellers advertise the tiles at prices that reflected the cost to manufacture them, ship them, and deliver them. The reseller make a profit and the tiles change hands several times before they reach the retail showroom. That is, unless the tiles are purchased through a direct importer and distributor that also has a hand in the manufacturing process. Nalboor Tiles is a website dedicated to natural stone tiles manufactured and imported through Stonexchange. This is a truly wholesale operation because the product obtained by the consumer or installer is purchased directly from the importer. 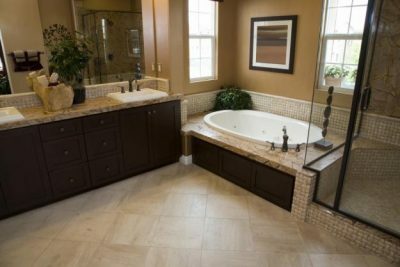 When the tiles are purchased in bulk quantities, the per-piece cost goes down significantly. All of the cream marble tiles selections found on the Nalboor Tiles website are priced according to the amount purchased. The cost of bulk orders is quite low when compared to what most retailers offer. This is because the material is brought into the United States in large containers, and the import fees and freight charges are greatly reduced. Stonexchange can afford to pass this savings on to all customers who purchase full-crate or full-pallet supplies of beautiful, top-quality cream marble tiles. Stonexchange is located in Miami, Florida, so those who install marble tiles for a living in the southern part of Florida will have a readily available supply of material throughout the calendar year. Merchants who deal in fine quality natural stone products can expect fantastically low prices on bulk orders, and these orders can be delivered on a very tight schedule. Stonexchange processes most orders for marble tile in just one or two business days and will deliver the product via freight van to nearly any address in the region. Cream marble is a favorite color shade selection for both residential and commercial interiors. Ivory/beige and cream/beige shades of natural marble stone are used for floors, walls, kitchen backsplashes, window sills, and thresholds. Finding a good color match between these products can be difficult unless all of the materials come from the same source. The reason most interior decorators love medium-shaded marble is because this color allows for the greatest amount of flexibility when other accents are added to complete the room’s appearance. Some materials such as dark-colored hardwood look nice when the furniture is mostly red- or brown-toned, but other colors of furniture and upholstery clash in a very negative way. Medium beige and ivory/cream marble is an excellent choice for those who choose to alter the room’s interior furnishings from time to time. Aside from the visual sensation created by medium cream tones of marble, there is another distinct advantage to using this material. The longevity of the product means an investment in the entire property, and the maintenance costs for the upkeep of marble are extremely low. Marble also keeps the lower layers of air at a comfortably cool temperature. When ceiling fans are employed and the air is circulated around the interior of the home or office, air conditioning units and heat pumps are used less often, and the result is lower overall energy costs. Stonexchange offers several different shades of cream marble on the Nalboor Tiles website. These include Vanilla Oro, Nuovo Crema Marfil, Crema Bella, and Crema River. Each of these products is sold in various sizes and is priced according to the amount ordered by the buyer. Vanilla Oro is a lightly shaded ivory cream with faint gray streaking. The tiles have been given a beautiful polish and the edges have been precision straightened. These tiles are available at wholesale prices and in 24-inch and 18-inch squares. Nuovo Crema Marfil is the perfect floor tile complement to Stonexchange’s inventory of cream-shaded window sills and floor thresholds. This product is similar in shading to botticcino or bursa beige. Nalboor Tiles offers this tile in 12-inch, 18-inch, and 24-inch squares. Crema Bella is a lovely shade of cream marble. Slightly darker and with a somewhat blurred appearance, this product matches or replaces crema milk or Turkish cream marble tiles. Crema Bella is available in 12-inch, 18-inch, and 24-inch squares, with the greatest cost savings on orders for full container loads. Crema River is the darkest shade of cream marble available from Nalboor Tiles. This product is also one of the most affordable marble styles offered by the company. It is a light mocha color with moderate streaking. This product looks extremely nice when used as a floor covering in foyers or as part of a kitchen backsplash design. Crema River is sold in 24-inch squares that are 3/4-inch thick. Marble tiles can be purchased in small quantities at nearly any retail flooring product outlet, but most of these smaller resellers order their product on an inconsistent schedule. This means that color matching may become a problem, especially if the installer intends to match the shade of tile with the window sills or floor saddles. The price is also subject to fluctuation, as smaller orders for natural stone materials are often procured through a dealer that orders products from various manufacturers. Stonexchange solves this problem for building contractors and those merchants who sell to them. All of the natural marble stone products sold through this importer and distributor are available in large quantities throughout the calendar year, so finding a perfect color match for installing in all the different construction phases of a large development project becomes an easy process. The cream marble tiles showcased on the Nalboor Tiles website are matched in color shade by the similarly colored thresholds and window sills offered by Stonexchange. Mixing and matching of orders is likewise no problem, and a recurring order schedule can be drawn up that ensures a steady supply of material, delivered directly to the job site if the client so desires. Buying marble stone is usually an adventure, mainly because there is a risk of obtaining an unsuitable color shade despite the promises of the seller. Also, obtaining marble tiles from a retail merchant can mean price fluctuations that reflect the seller’s inability to compete with brokers who purchase bulk quantities of material and then jack up the price. Buying direct from the importer and distributor is a better bet for obtaining high-quality cream marble stone at prices that are truly wholesale. The supply of material is also far more reliable, and there is greater flexibility when it comes to creating a customized order that contains non-standard size tile. For the best deal in Miami and all of the state of Florida, buy direct from Nalboor Tiles and get affordable wholesale pricing on genuine cream marble stone tiles. Contact Nalboor Tiles today and start saving money on premium quality marble flooring products. Marble is truly affordable when the buyer goes directly to the materials source.